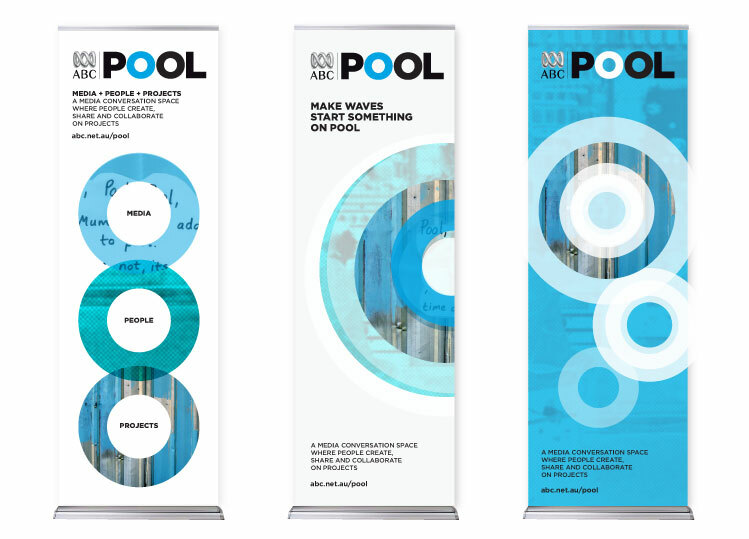 ABC Pool approached us to develop collateral items for an upcoming event. As a creative studio, we help our clients to define the brief and to develop clarity in their brand and brand message. We work collaboratively with the client in the initial phases to do this. 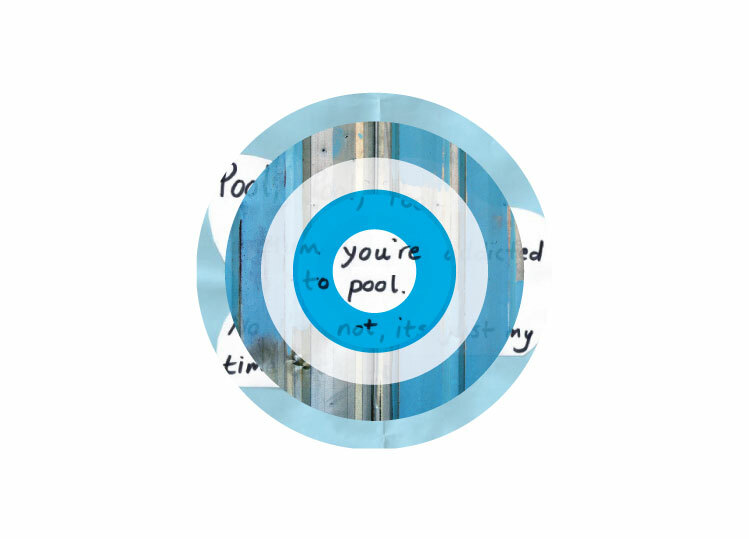 ABC Pool is an online conversation space where people share media and collaborate on projects. The resulting works provide online communities a space for contribution to ABC programming. 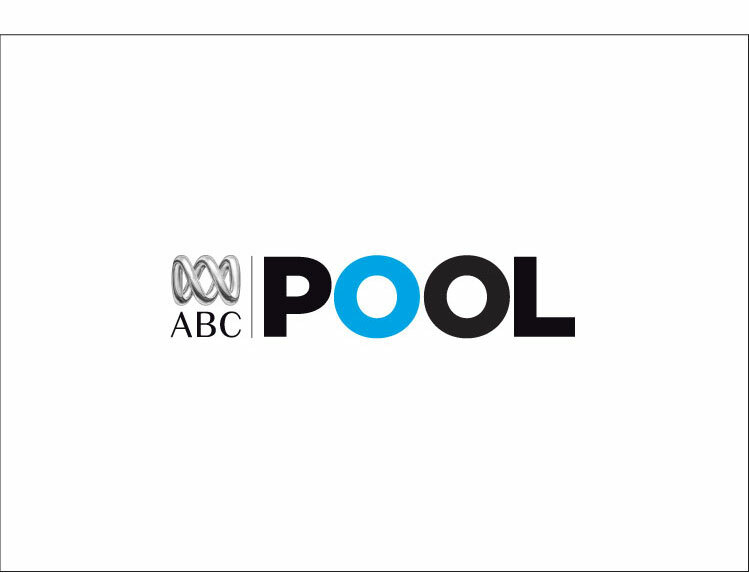 We created a new brand language that could take ABC Pool into the future. 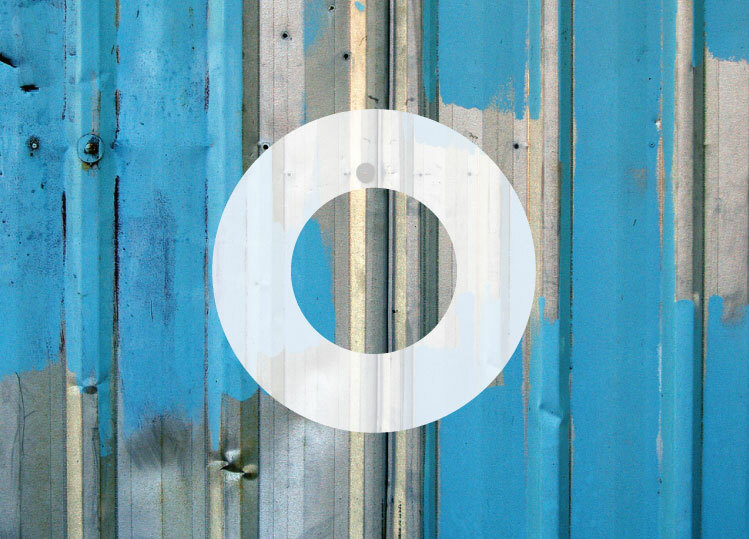 The visual language based on the circle and letter 'O' in Pool becomes an iconic mark representing the ripple effect of collaboration and exchange of projects on Pool. 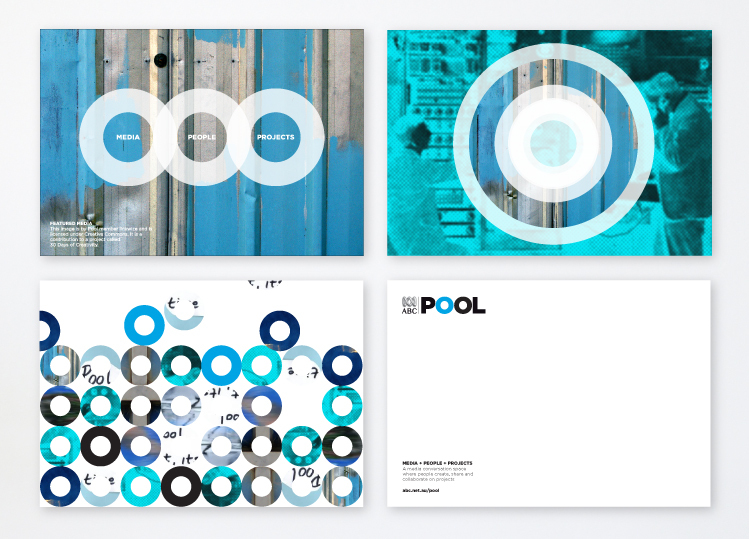 We established the brand colour blue that Pool could own introducing it into the logo to create a distinctive mark. Client: ABC Pool.